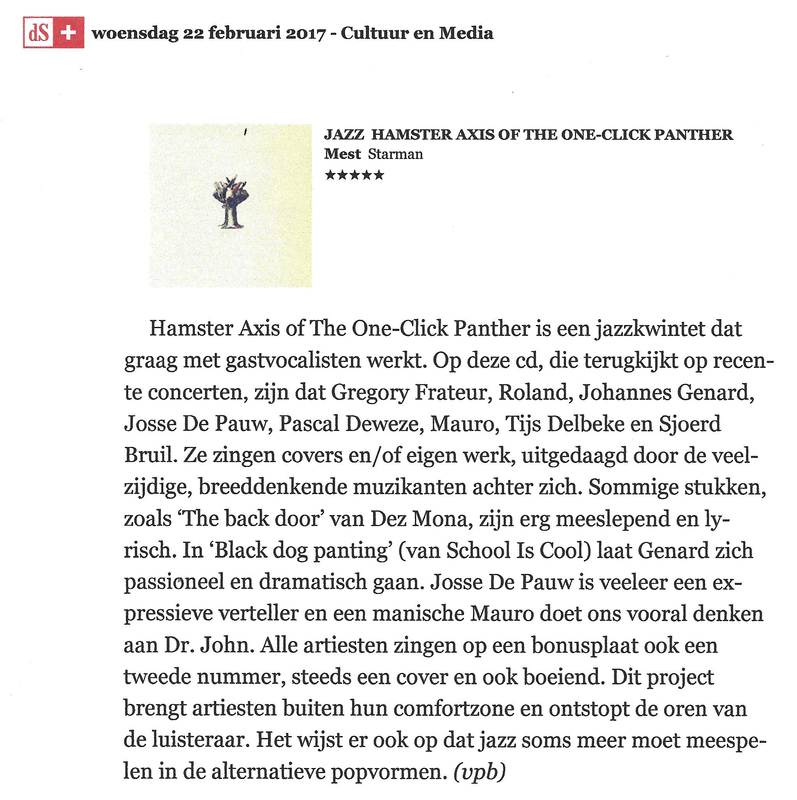 In 2015 Hamster Axis released on Starman records the critically acclaimed “Play the Peter Houben songbook”, entirely recorded with Mauro Pawlowski on lead vocals. On the new album, MEST, Hamster Axis is joined by leading Belgian musicians such as Gregory Frateur (Dez Mona), Roland Van Campenhout, Johannes Genard (School is Cool), star actor Josse De Pauw, Mauro Pawlowski, Pascal Deweze, Tijs Delbeke (Sir Yes Sir), Sjoerd Bruil (Dez Mona, Gruppo Di Pawlowski,…). Together they recorded in Pascal Deweze’s Studio Jezus surprising new versions of their own songs and covers of a.o. Bob Dylan, Kate Bush, Michael Jackson and Mark Lanegan.